You should first visit the UK DEFRA web site for the lastest foot and mouth disease news, controls and orders. DEFRA launch interactive map showing infected areas, Click here. Owners of rare live stock breeds see this link. (Also see RBST website). DEFRA Foot and Mouth Fact Sheets, click here. BEF - British Equestrian Federation, click here. 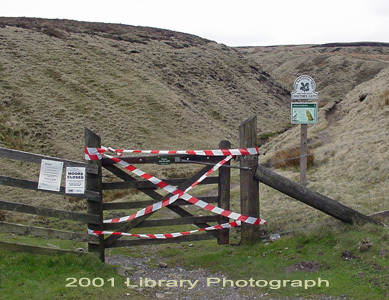 access to lakes and sports facilities denied. In 2001 Equiworld was flooded with requests for information about how Foot and Mouth Disease affects horses and ponies and how people can help stop its spread. Below you will find links to sites with information and contact numbers which people found useful. Many shows and events were cancelled, even in areas not affected. 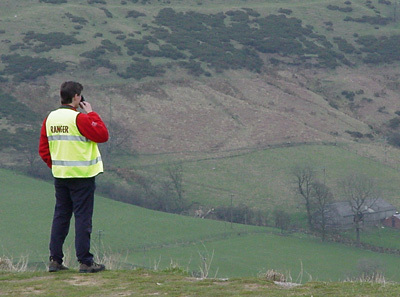 You should first visit the UK DEFRA web site for the lastest news. 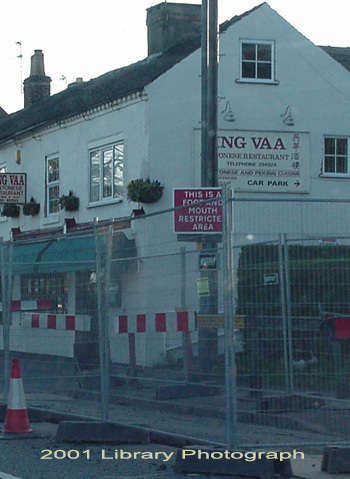 2001 - Infected areas cut through towns preventing access to some businesses. Footpaths, roads and parks closed in infected areas. 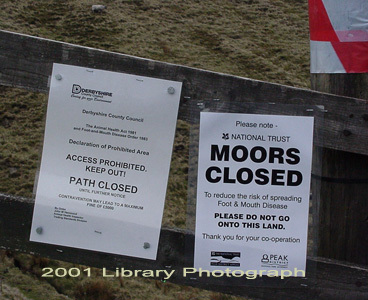 2001 - Paths closed on hills, moors and mountains. 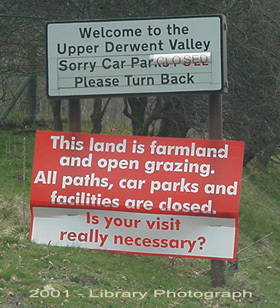 those ignoring signs risked £5000 fines and jail. The British Horse Society is being inundated with calls from worried horse owners who have heard that horses would be slaughtered along with livestock on any farm infected with foot and mouth. After reports that officals had been slaughtering all livestock in infected areas including dogs and horses. Horses would NOT have to be slaughtered. They do not get the disease, and they cannot carry the disease in the medical sense, though they can transmit it via their hooves, just as humans can on their boots or cars do on their tyres. The BHS want to reassure horse owners everywhere that horses on infected farms would not have to be slaughtered. This has been confirmed by Animal Health Officers at the Ministry of Agriculture. However, they would probably have to be quarantined. The BHS is advising horse owners not to hack out on bridleways, common land, or moorland, and to stay away from roads in rural areas. Although the movement order does not apply to horses, the BHS advises that horse owners should not transport their horses anywhere, and is asking those holding events to postpone them until the situation is more stable.